Part of being more consistent with a Christian worldview is the realization that there is no neutrality when it comes to secularism and a Biblically informed education. Hence, the topic of homeschooling is important, for those who want to pursue this option in raising up their children. 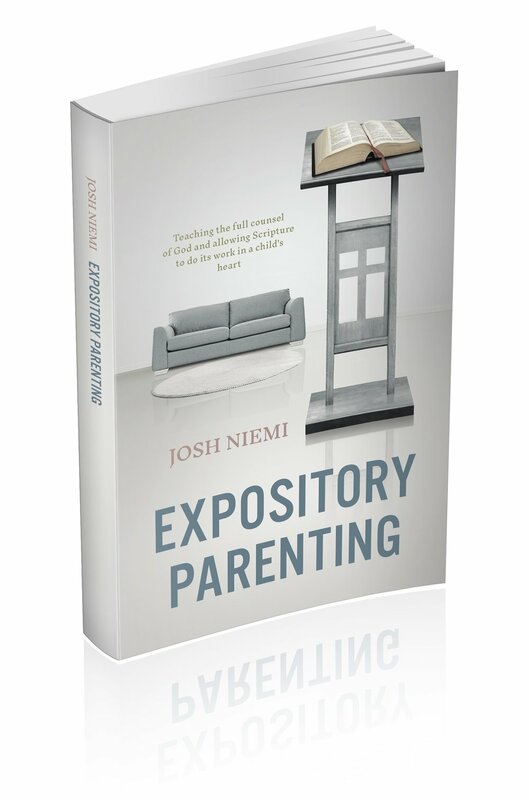 A practical book is rare in this regards, but one that readers might consider is “Lessons Learned from Years of Homeschooling”by Andrea Schwartz. The topic of this book is the relationship of thinking and the Christian life. As the beginning of the book admits, there have been other Christian works on the topic of the relationship of the intellect and the faith, with each having it’s different emphasis (such as the cultural aspect, role of faith and science, etc). This work emphasized more of thinking in terms of reading, and is more driven by biblical exposition and not a defense higher institution learning per se. I enjoyed the fact that the author is a preacher of the Bible first, who also began his career orignally in academic ministry. The author John Piper devotes two semi-biographical chapters to explain his own intellectual Christian life, including a discussion about the influence of Jonathan Edward’s Trinitarian approach to the relationship of the intellect and action. This gives the readers an honest picture of where Piper is coming from. The book is not a textbook on logic but comes across as a book giving a summarized Christian theology of the relationship of the mind to the faith and I would even say with enough devotional flavor. Piper covers the relationship of the mind to coming Christ and also in sanctification, and presents a balanced approach of both/and when it comes to the life of the mind and living faith. Piper underscores the need for the faculty of the mind to be used to treasure Christ, and that just thinking about the things of God is not loving God with all our minds if we don’t end us savoring him. To use an analogy in the book, the intellect provides the wood to stir our passion in loving Jesus. This works also refutes relativism and also dealt with the issue of anti-intellectualism and autonomous intellectualism, with the call to submit all reasoning in the service towards Christ and helping others and ourselves love Jesus more. Good work–readers might find it a treat to read Mark Noll’s preface, and the fact that Piper and Noll were both roomates at one time during the college days in Wheaton. Of course, Noll’s view on things are not views I would totally agree with (especially in terms of his stance on evolution). 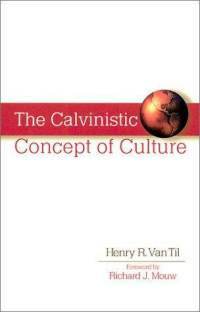 Several weeks ago, I reviewed this book by Henry Van Til here. Apparently, you can read this entire work and download it for free on PDF! Click here. The work will have the 1972 cover on it–but the content is the same. The professor called me into his office and told me that I should check out of Greek. That was the wake-up call I needed. I went down to my dorm room, got on my knees, and confessed to the Lord that I had dragged his name through the mud. I reasoned that since I am in Christ and he is in me, he was failing Greek, too. And even though I was at a Christian school, I was soiling his reputation. I repented of my sin—the sin of mediocrity because I was surrounded by Christians, the sin of thinking that I did not need to do my best since I was a Christian. I went back to the professor and asked for one more chance. He granted that to me. I ended up getting an A in the class both semesters. It still took me two more years of Greek at Biola before I even felt moderately comfortable with the language, but I had learned my lesson. Now, to be sure, my experience is not everyone’s. But, for me, learning Greek became a matter of spiritual discipline. And even though I was very sick in my fourth semester of Greek-so that I missed five and a half weeks of school-I still did well in the course. What makes this amazing is that Dan Wallace is the guy that have written much materials on Greek! Furthermore, I think there is something I can relate to in this story. I struggled much in undergraduate studying Classical Greek–I felt that I poured hours into it, and my grades didn’t reflect the time I spent on studying and doing the assignment. There were many times I was discouraged. I was always convicted how non-believers were better in their Greek than I was in class. By the time I got to seminary, I was in fear and trembling. I prayed much to the LORD that He would help me be a good steward when it comes to my Greek–so that I can rightfully divide the WORD and defend it with knowledge of the Greek New Testatment text itself. And I think God has been gracious to me! 1.) We must not forget that studying is a spiritual exercise–we should pray for wisdom from God and help! We should see our study as a spiritual stewardship–one day we will be called into account with what we did with our studies. This makes it a big responsibility–and yet a great joy to see that language is part of God’s created order. It should be a time of glorious worship when we are studying hard. 2.) We must not forget that those who might seem to be failing still have the hope in Christ that if they have a right biblical perspective on studying, and a “THEOLOGY of education” that is informed by the Scripture driving their study lives, God is still in the redemptive business of turning one who might be dumb, lazy and struggling to become a striving student. I believe it, because I believe God’s sanctification include the sanctification of the mind and the will when it comes to the area of studying. The proverbial excuse, “It’s all Greek to me!” shouldn’t be for Christian seminarians, pastors and the Christian student. If I could bend my hermeneutics just a bit to make a point– Christians are to be “Greek” to Greek and Hebrew to Hebrew! This work was an unofficial festschrift for Cornelius Van Til, edited by Gary North. The story behind this second Festchrift for Van Til is an interesting story in it’s own right. The work attempts to put forth the foundation for a Christian approach towards various academic disciplines that is informed from a Christian worldview. I thought Rushdoony’s chapter on Psychology was worth while. John Frame contribution to the chapter in theology was also good, as he explores the issue of theology as a system, while also it being more than a system, paradoxes in theology, the inter-relationship of doctrines, etc. Van Til’s disciple Greg Bahnsen also contributed to this volume, with a wonderful chapter on apologetics and another on philosophy. His chapter on philosophy discusses the issue and refutes pragmaticism, and Wiggenstein’s language game theory of language. Vern Poythress’ contribution with the chapter on math is also another excellent chapter in the book, and probably is the beginning work done concerning a distinctively Van Tillian flavor Christian worldview approach towards mathematics. I highly recommend this work, and I think it is a tragedy that this work is out of print. Perhaps an update or a new book that is in the same spirit would be excellent in the near future!